Another reason why the case so important is that it is a bellwether trial for more than 11,000 lawsuits filed by plaintiffs making similar claims. In situations such as this one, it is not uncommon for there to be a large number of similarly situated plaintiffs. A bellwether trial is one that raises an issue for the first time, that may be determinative of the subsequent lawsuits or at least influences how the subsequent lawsuits will proceed in some manner. As noted above, phase one of the bifurcated trial recently concluded. Thus, the case will now move to phase two. In this case, the judge overseeing the trial decided to bifurcate the case into two distinct phases because he feared that the evidence of alleged corporate misconduct would be distracting to jurors when seeking to evaluate the safety of the product. So, under the court’s plan, first, the jury first had to determine if Round-Up was a “substantial factor” in causing the plaintiff’s cancer. 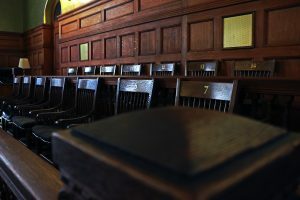 Because the jury returned an affirmative answer, in the second phase of the trial the plaintiff will be permitted to present evidence showing the alleged corporate misconduct. Phase two will also determine the amount of damages to be awarded the plaintiff – compensatory and punitive damages. The plaintiff objected to the court’s decision to split the trial into two phases, arguing that the evidence of corporate misconduct was “inextricably linked” to the scientific evidence. However, notwithstanding any potential prejudice stemming from the court’s decision to bifurcate the proceedings, the jury resolved phase one in favor of the plaintiff. The case will now proceed to phase two. If you or a loved one has recently been injured after using a dangerous or defective product, the Illinois toxic tort lawyers at Moll Law Group can help. At Moll Law Group, we represent injury victims and their families in all types of Illinois mass tort cases, as well as cases across the country. We have recovered billions of dollars on behalf of our injured clients, and are prepared to meet with you to discuss how we can help you pursue a claim for compensation based on the injuries you have sustained. To learn more, call 312-462-1700 to schedule a free consultation today. The Debate Over a Controversial “Clot-Busting” Stroke Medication, Illinois Injury Lawyer Blog, April 7, 2018. Illinois Dioceses Allegedly Withheld Names of at Least 500 Priests Accused of Sexual Abuse, Illinois Injury Lawyer Blog, December 28, 2018. Case of Legionnaire’s Disease Discovered in Illinois Veterans’ Home, Illinois Injury Lawyer Blog, January 17, 2019.